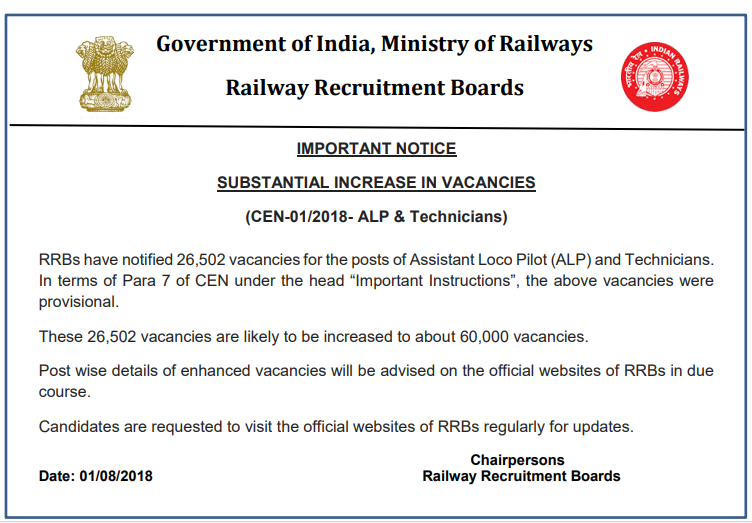 It is good news that RRB has announced the current recruitment vacancy posts increasing from 26502 to 60000. The recruitment is current going on and the last date for applying is already over. RRB has earlier announced the vacancy notification for ALP (Assistant Loco Pilot) & Technicians Posts. The total posts were 26502. Now it is increased to 60000. So the people like you should be happy that the chance of being getting Govt jobs in railway is high. The CBT is to be held on 09th August 2018. This is first state CBT (Computer Based Test). The selection process in this RRB recruitment is given below for your reference.